'Franklin And Eleanor': A Marriage Ahead Of Its Time The Roosevelts' unorthodox marriage was equitable, sexually open — and spanned four decades. Hazel Rowley profiles the uncommon union of a four-term president and his first lady in Franklin And Eleanor: An Extraordinary Marriage. One of the most amazing anecdotes in Hazel Rowley's crackling new biography of the Roosevelt marriage called, simply, Franklin and Eleanor, has, on the surface, nothing to do with their personal relationship; yet, it speaks volumes about the trust the first couple placed in each other: In November 1939, as the Red Scare was gathering force, the House Un-American Activities Committee subpoenaed members of a college student group called the American Youth Congress to testify about their organization's ties to the Communist Party. Getting wind of this event, Eleanor asked Franklin's permission "to turn up unannounced" at the hearing. He gave it, and the first lady took off. At the noontime break, the students still hadn't been called to testify, so Eleanor invited them back to lunch at the White House. When she found out the students had nowhere to sleep that night, she invited all 10 of them to move into the White House -- the People's House, after all -- for the duration. That evening, the students -- some of them poor, first-generation Americans -- dined with the president and discussed the HUAC, as well as other breaking news, including the Soviet invasion of Finland. It's unimaginable now to think of a first lady or a president acting with that much autonomy, but what that anecdote also reveals is the enlightened disregard Franklin and Eleanor had for conventional categories. As Rowley vividly describes, throughout the latter two decades of their 40-year unorthodox marriage, the Roosevelts shared their private life at close quarters with an "alternative family" of aides, advisers and close friends -- most of whom were from working-class backgrounds. Both Franklin and Eleanor also "gave each other space" to cultivate romantic friendships outside of the marriage. Whether or not these relationships were physical is still up for debate, but the language of existing letters shows there's no question they were passionate. In Eleanor's case, those romantic friendships were with men, like her beloved bodyguard Earl Miller, as well as with women, like the journalist Lorena Hickok. It was no secret to her colleagues in the press corps that "Hick," as she was called, was a lesbian; nor was it a secret that she and Eleanor seemed to be deeply in love. A few months after FDR's first inauguration, Eleanor wrote to "Hick" about their open secret: "And so you think they gossip about us ... I am always so much more optimistic than you are. I suppose because I care so little about what 'they' say." By the way, Rowley can quote those fearless words because Lorena Hickok preserved almost all of the 3,500 letters she and Eleanor wrote to each other from 1932 until Eleanor's death. Hazel Rowley is the author of Tete-a-Tete: The Tumultuous Lives and Loves of Simone De Beauvoir and Jean-Paul Sartre and Richard Wright: The Life and Times. She lives in New York City. The Roosevelts' nonconformist love lives, as well as their expansive impulses to turn the White House into a World War II-era hippie crash pad, have been recounted by other superb biographers, notably Blanche Wiesen Cook and Doris Kearns Goodwin. What distinguishes Rowley's chronicle is her focus on the evolution of the Roosevelt marriage from a standard-issue high-society alliance of its day to a ... what? We don't even have a term for such an unconventional relationship -- certainly "open marriage" sounds too naughty, although "open" is what the Roosevelts clearly became. Of course, they didn't transform their marriage out of mere happy whim. There was the harrowing tragedy of FDR's polio and his rehabilitation, which naturally forced the couple apart. During the late 1920s, Rowley points out, Franklin was away from home for 116 weeks: Eleanor was with him for four of those weeks; his secretary, Missy LeHand, was with him for 110. And then there were the failures that loosened both the marital and family ties: FDR's affair with Lucy Mercer; Eleanor's rather strained style of parenting the couple's six children. 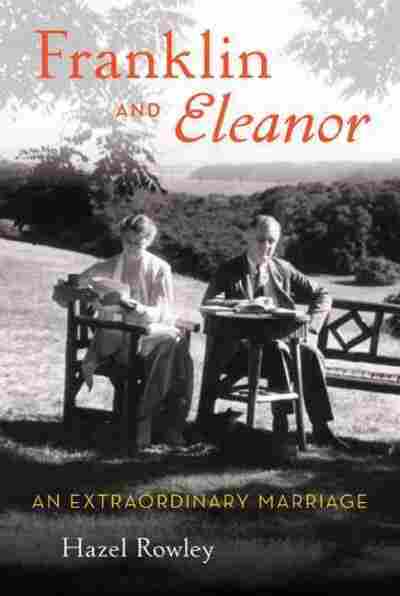 Eleanor, an eternal daddy's girl, sadly confessed later in life that: "I do not think that I am a natural born mother. ... If I ever wanted to mother anyone, it was my father." Rowley doesn't excuse these flaws but traces how the hard times helped the couple achieve what she dubs "one of the most interesting and radical marriages in history." 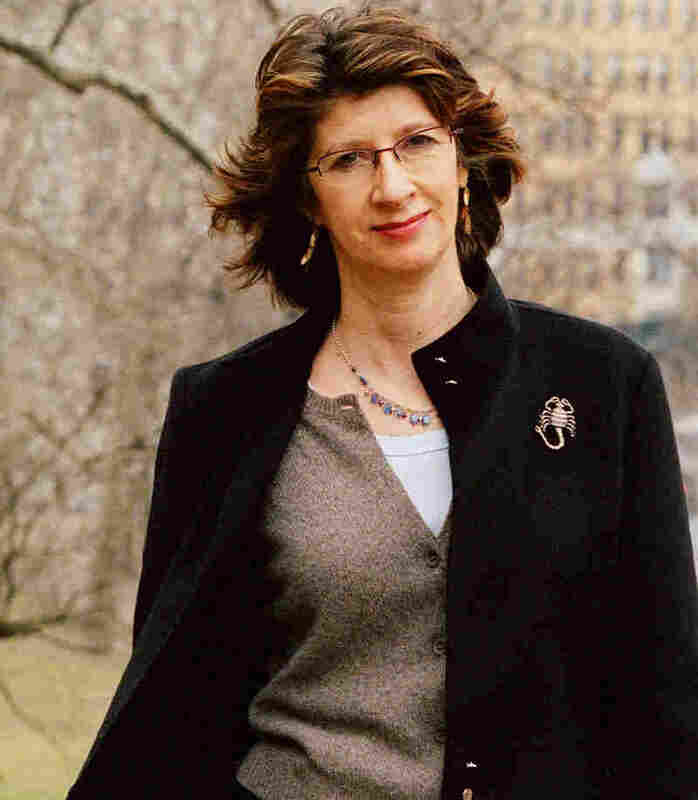 Rowley has chronicled out-of-the-box relationships before: Her last book was a highly acclaimed biography of the partnership between Jean-Paul Sartre and Simone de Beauvoir. Nothing against the French, but there's no contest here. While Sartre and de Beauvoir were hashing over gender roles in sequestered cafes, Franklin and Eleanor had already forged their own cutting-edge version of a marriage, despite living for nearly four terms in the fishbowl of the White House. I must write you & thank you for being so good to me yesterday. I know just how you feel & how hard it must be, but I do so want you to learn to love me a little. You must know that I will always try to do what you wish for I have grown to love you very dearly during the past summer. It is impossible for me to tell you how I feel toward Franklin, I can only say that my one great wish is always to prove worthy of him. I am counting the days to the 12th when I hope Franklin & you will both be here again & if there is anything which I can do for you you will write me, won't you? Dearest Mama -- I know what pain I must have caused you and you know I wouldn't do it if I really could have helped it -- mais tu sais, me voilà! That's all that could be said -- I know my mind, have known it for a long time, and know that I could never think otherwise: Result: I am the happiest man just now in the world; likewise the luckiest -- And for you, dear Mummy, you know that nothing can ever change what we have always been & always will be to each other -- only now you have two children to love & to love you -- and Eleanor as you know will always be a daughter to you in every true way. Franklin had done the unthinkable. He had stood up to his mother, squarely and firmly. "My dearest Franklin," came the reply from Hyde Park, "I am so glad to think of my precious son so perfectly happy, you know that and I try not to think of myself. I know that in the future I shall be glad and I shall love Eleanor and adopt her fully when the right time comes. Only have patience dear Franklin, don't let this new happiness make you lose interest in work or home." Franklin wrote back: "I am so glad, dear Mummy, that you are getting over the strangeness of it all -- I knew you would." That left the battle about the following weekend. I confess that I think it would be poor policy for me to go to H.P. next Sunday -- although, as you know and don't have to be told, I always love & try to be there all I can -- I have been home twice already this term…If I am in N.Y. on Sunday not a soul need know I have been there at all as if we go to Church at all we can go to any old one at about 100th St. & the rest of the day w'd be in the house where none c'd see us…Now if you really can't see the way clear to my staying in N.Y. of course I will go to H.P. with you, but you know how I feel -- and also I think that E. will be terribly disappointed, as I will, if we can't have one of our first Sundays together -- It seems a little hard & unnecessary on us both. He and Eleanor won that round. But there were plenty more battles to come. Franklin was used to his mother, and had long ago chosen his way of dealing with her -- lies, evasion, and feigned docility. Eleanor swung between compliance and anger. "You know how grateful I am for every moment which I have with you," she wrote to Franklin, and signed her letter, just as she used to sign letters to her father, "Your devoted Little Nell." But she did not see why her future mother-in-law should dictate to them when and where they could meet. "It is hard for her to realize that any one can want or need you more than she does," Eleanor told Franklin, "so I suppose I ought not to mind, only I do mind terribly." Franklin managed to persuade his mother not to move to Boston that winter. He preferred to come down to New York to see her -- and Eleanor. As a trade-off, he consented to go on a five-week cruise of the Caribbean with Mama and his best friend, Lathrop Brown. They sailed on February 6. Sara wrote in her diary: "F. is tired and blue." So was Eleanor, who found the separation quite frightening. Would Franklin still love her when he got back? She knew that Sara would be intensely relieved if her son changed his mind. Fortunately, Eleanor had another interest that winter. She had volunteered her services in the settlement movement, which aimed, through "settlement houses," to provide social services to the urban poor. Eleanor was assigned to University Settlement House, on Rivington Street, where she and a friend taught dance and calisthenics to immigrant girls -- mostly Jews and Italians -- who lived in the dingy, malodorous slum tenements of the Lower East Side. (Eleanor once went inside one, with Franklin, when they took a sick girl home.) Unlike her friend, who came and went in her carriage, Eleanor preferred to take the elevated train and walk across the Bowery with her maid. It was a glimpse of another world -- the streets teeming with foreign-looking people, the pushcart vendors at the curb, the strange food smells. She greatly admired the spirit of her young pupils, who worked long days in a factory or did piecework at home. Her cousin Susie was horrified, convinced that Eleanor would bring tuberculosis back to the household. But Eleanor, for the first time in her life, felt as if she were doing something useful. Her classes, she wrote to Franklin, were "the nicest part of the day." In late February, Eleanor went to Washington, where she spent two weeks with her aunt Bye, gaining some confidence in that highly sociable house on N Street. On March 10, Sara and Franklin arrived in Washington (they had taken the train up from Miami) and went straight to the Shoreham Hotel, where Bye soon called and invited them to tea. For two hours, while their maid unpacked, Sara marched an impatient Franklin around Washington. Finally, that afternoon, he and Eleanor were reunited. "Franklin's feelings had not changed," Eleanor wrote in her autobiography. "Darling Franklin," his mother wrote from Hyde Park, "I am feeling pretty blue. You are gone. The journey is over…but I must try to be unselfish & of course dear child I do rejoice in your happiness…Oh how still the house is…Do write. I am already longing to hear." Franklin had returned to Harvard, where he relished his job as editor in chief of the Crimson. When he was elected chairman of his class committee, Eleanor was thrilled for him. "I know how much it meant to you and I always want you to succeed. Dearest, if you only knew how happy it makes me to think that your love for me is making you try all the harder to do well, and oh! I hope so much that some day I will be more of a help to you." They were able to see each other more when Franklin entered Columbia Law School, in September 1904. Sara had given up their apartment at the Renaissance Hotel, and rented a house at 200 Madison Avenue. She and Franklin were once again under the same roof. On October 11, Eleanor's twentieth birthday, Franklin presented her with a diamond engagement ring from Tiffany. The secret was still closely guarded, but Sara had accepted the inevitable. "I pray that my precious Franklin may make you very happy," she wrote to Eleanor, "and thank him for giving me such a loving daughter." The engagement was announced on December 1, 1904. "President's Niece to Wed her Cousin," the newspapers reported. This made it "one of the most interesting engagements of the season." With that vicious penchant the gossip rags had for comparing women's beauty, Town Topics commented: "Miss Roosevelt has more claims to good looks than any of the Roosevelt cousins. This she inherits from her mother, who was the beauty of Mrs. Valentine Hall's four daughters." We are greatly rejoiced over the good news. I am as fond of Eleanor as if she were my daughter; and I like you, and trust you, and believe in you. No other success in life -- not the Presidency, or anything else -- begins to compare with the joy and happiness that come in and from the love of the true man and the true woman…Golden years open before you. May all good fortune attend you both, ever. Her uncle Ted wanted to give Eleanor away, and offered to have the wedding at the White House. Franklin and Eleanor preferred a more modest setting, in New York. Cousin Susie Parish's home on East Seventy-sixth Street, where Eleanor was currently living, was two interconnected houses (Susie's mother lived in the other one), and the second-floor drawing rooms could be opened up to make a spectacular ballroom. Pussie had recently been married there. It was no easy matter to arrange the date: the president had a full calendar. But he was coming to New York on March 17 for the St. Patrick's Day parade and dinner, and in between, he could give the bride away. Two weeks before the wedding, Sara, Franklin, and Eleanor traveled to Washington to attend the presidential inauguration. Theodore Roosevelt had won the election by the largest majority in American history. Franklin and Eleanor listened to his speech, watched the parade, and danced at the inaugural ball. The day before the wedding, there was a great deal of coming and going at 6–8 East Seventy-sixth Street. The drawing room looked splendid. An altar had been set up in front of the mantel, and the cousins were to be married under an exuberant bower of palms and pink roses, symbolizing the "field of roses" in the family name. That evening, Sara wrote in her diary: "This is Franklin's last night at home as a boy." Excerpted from Franklin and Eleanor: An Extraordinary Marriage by Hazel Rowley. Copyright 2010 by Hazel Rowley. Excerpted by permission of Farrar, Straus and Giroux, a division of Macmillan.